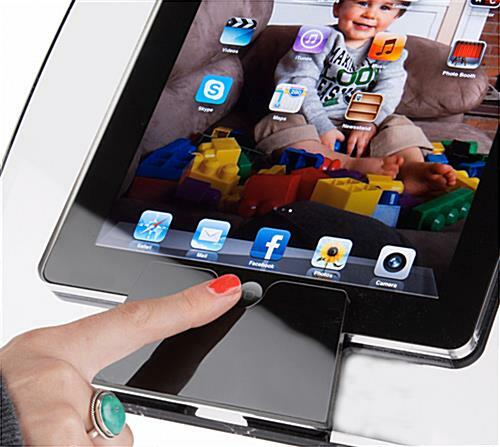 These black curved iPad stands are adjustable for customized viewing depending on the advertising presentation content. 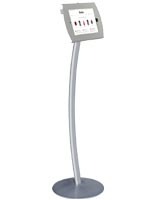 These display holders that have a modern design are ideal as a marketing tool in commercial establishments. 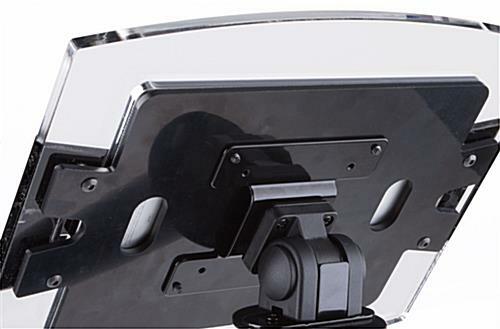 These curved iPad stands that rotate to switch from horizontal to vertical views do not require removal of the device from the display. Apple® tablets are expensive, so when accessories are being displayed in busy areas, it's essential that they are housed safely. 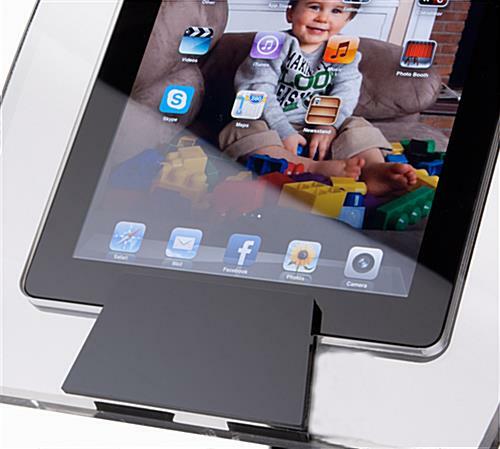 Patrons can purchase these iPad stands with a Kensington lock adapter kit should they choose to. These design displays help retailers promote new inventory and highlight sales. Note: These displays are designed for Apple 2nd, 3rd & 4th generation iPads. They may not fit other tablets. *The "Home" button can either be covered or revealed within the enclosure, depending on customer preference. 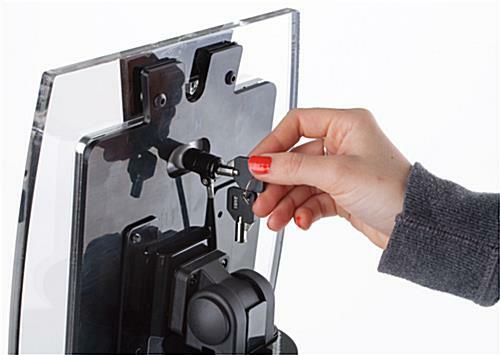 Note:Install the Kensington lock kit adapter plate onto the device using Super Glue, which is permanent.